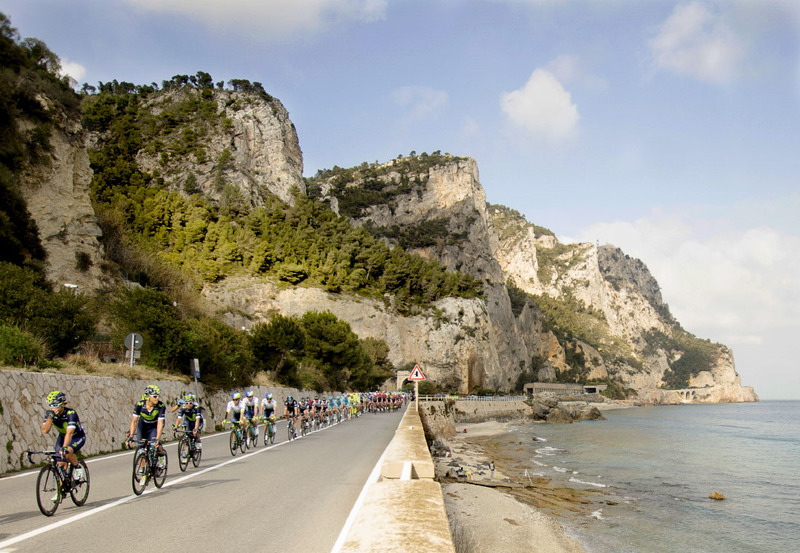 The Milano Sanremo last saturday, for her first 270 km, hasn't proposed anything more than a great sunny day in Riviera. As several times happens the real battle started on Cipressa descent. Last half hour of competion has been excited as any time happens. We were all the day long on the road, chasing the race. It was a long trip, made of small towns, people, pictures, a forced stop in the highway, a recovery chasing, sun, the Mediterranean sea and finally, the Poggio. As usual looking back to the pictures I have the impression that I couldn't catch the magic that this race is able to transmit. Despite her 270 km of stand by.